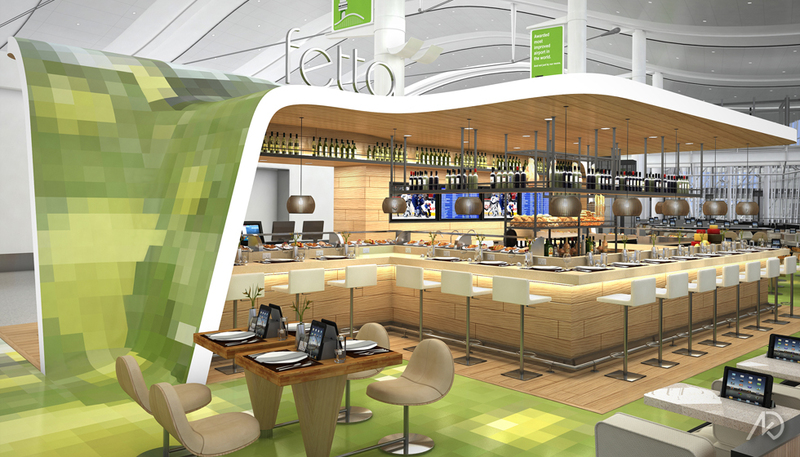 The following images show Fetta, a small bar/restaurant located off the concourse in terminal one of Toronto International Airport. The design consists of a dining/drinking bar under an organic canopy as well as secondary seating options in close proximity. evolved through many iterations. The final result is one that securely houses all necessary bar infrastructure as well as provide room for the market cases seen in the front view. Most items in the scene (except for the whiskey bottles) were modeled, textured, and lit by kk. The rear view shows the main bar itself. The canopy extends in the rear to cover the wrap-around bar as well as provide support for the suspended lighting and the liquor shelving. 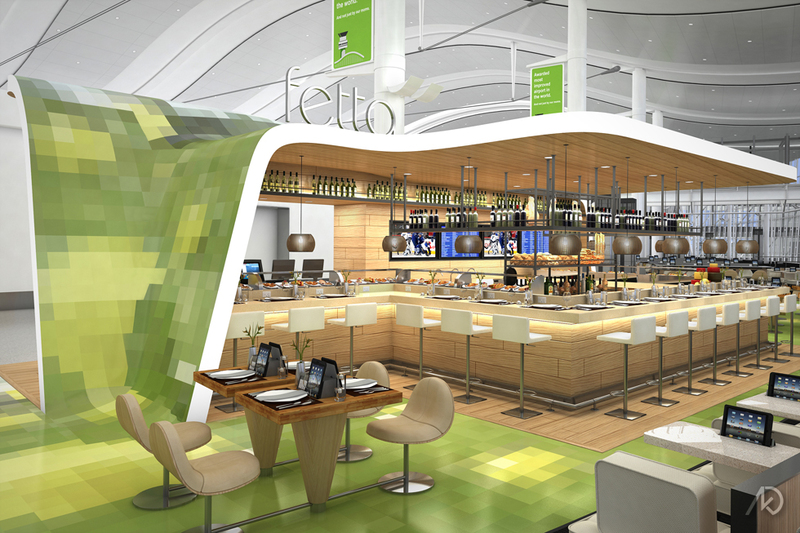 In the foreground one can view the secondary seating which, along with the bar seating, provide ipad service to patrons for ordering and other services. The front view shows the p.o.s. station as well as the market cases. This would be the grab-and-go area of the restaurant. 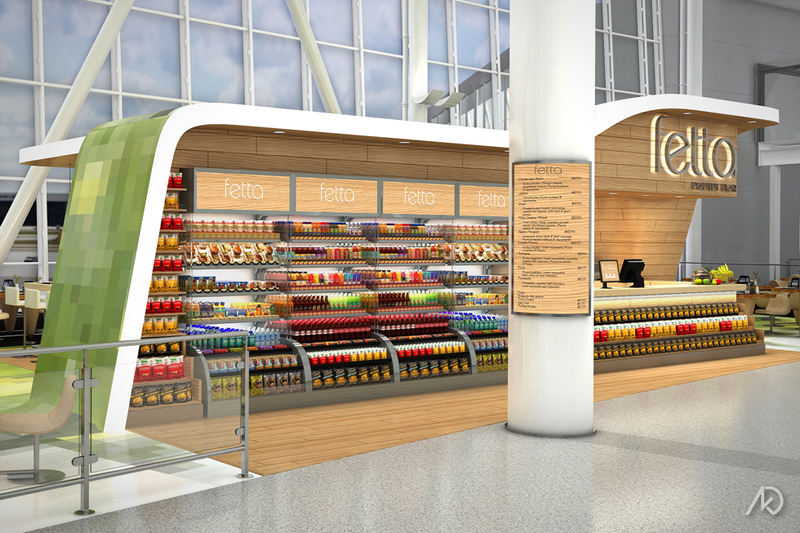 The design of the canopy was altered a few times in order to accommodate more/less cases. The use of 3d as a design tool was integral to the understanding of the canopy’s complex form.